Jonny Diaz, the songwriter of “More Beautiful You” (one of the most inspiring melodies about self worth, beauty and identity ever, along with Britt Nicole’s “Gold” and more recently Alessia Cara’s “Scars To your Beautiful”), has had quite a remarkable career since releasing his first album in 2003. Offered a baseball scholarship in 2002, Jonny declined, as he felt that God was moving him to minister to people through music so instead Jonny has since provided us with plenty of heart-warming and lyrically poignant songs bringing us all closer to God, from the heartfelt ballad “Beauty Of The Cross” that describes how much Jesus loves us to die on the cross for us, to the revealing and sometimes uncomfortable radio single “Break My Heart”- a call to action, where Jonny proactively urges fellow believers to act out their faith and be the hands and feet of the community. As I’ve said in previous reviews (which I will keep on saying and reiterating! )- it is in my opinion that Jonny’s songwriting calibre is in the same or similar vein to artists like Bebo Norman, Jason Gray, Nichole Nordeman and Andrew Peterson, and musically reminding me of Brandon Heath, Josh Wilson and Steven Curtis Chapman; as many of Jonny’s acoustic pop melodies have changed the lives of many, while also excelling on the Christian Billboard charts and other radio formats. Though Jonny maybe has had subconsciously such a hefty and lofty comparison put on him, to many contemporaries of his which are just as popular, or maybe even more so, than him; the strength of his music shows us that it seems as if Jonny doesn’t let these comparisons faze him. This is evidently shown in his latest EP Sweetness And Sorrow, which re-released this past week as a deluxe edition (with this past EP added to 2015’s Everything Is Changing to make a 12 song album). With ‘deluxe editions’ of albums, I reckon the smartest thing to do would be to release them alongside ‘standard editions’ of albums, with both to be released on the same day to better capitalise on the hype and the popularity of the particular artist and album in question. 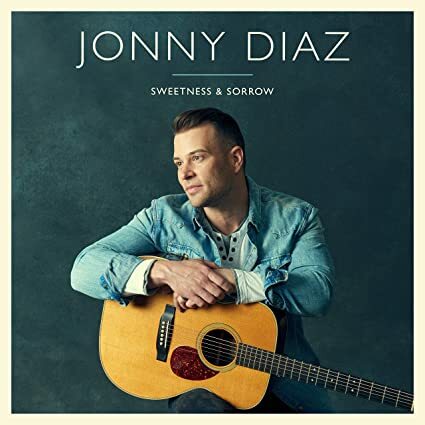 However, as much as I love Jonny’s music, and resonated greatly with his two previous EP’s (of which Sweetness And Sorrow Deluxe Edition is comprised of! ), the collection of already heard songs released 2 months later for one half (and 3 years later for the other!) falls flat and feels like a moneygrab, even if it’s not the case. Although this edition is the only physical copy edition you could buy- the 2015 EP and 2018 EP are only digital copies…but who buys CD’s these days, right? Much like the unnecessary deluxe edition of The River by Jordan Feliz (which released a full year after the standard edition- and only included some remixes to ‘warrant’ even making the deluxe edition of the album in the first place! ), I reckon in this case it could look like the same. It’s a shame, cause I love both EP’s- and Jonny’s enthusiasm and passion here, as well as his songwriting prowess; on the face could’ve made me rate this album at least a 4/5…but that’s if the album wasn’t already released (albeit in parts)! If I was the label, if I wanted Jonny’s EP from this year combined with his 2015 EP, I would add maybe another second disc of B-sides, acoustic tracks and remix versions of hit songs, so as to create a ‘rare greatest hits’ album of sorts. Then it’d be worth it to listen to and/or buy. As the case it is now, there’s no reason to check this album out, if you have already heard these songs before as two separate EP’s. If you haven’t had the chance to listen to Sweetness And Sorrow EP or Everything Is Changing EP; then this deluxe edition is for you. But I’d imagine that may be just a small percentage of Jonny Diaz fans!